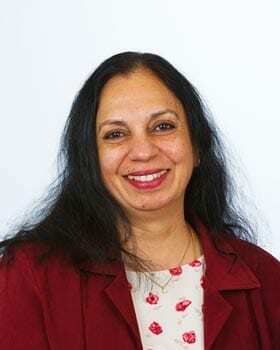 Dr Sharada Mamidenna has worked with Warners Bay Dental since 2000. Prior to that, she has over 16 years’ experience, working in India for well over a decade and thereafter in New Zealand. If asked what she loves most about her job, it’s the patient interaction and her ability to make a positive difference to her patient’s oral health and therefore, general well being long term. Sharada has a twin approach to providing services to her patients. She balances her treatment to restore form and function of the teeth, whilst maintaining a strong emphasis on preventative care as a long-term objective. She strongly believes patient input to be an essential ingredient to the treatment process. Away from dentistry, she loves travelling, reading, music and the fine arts.